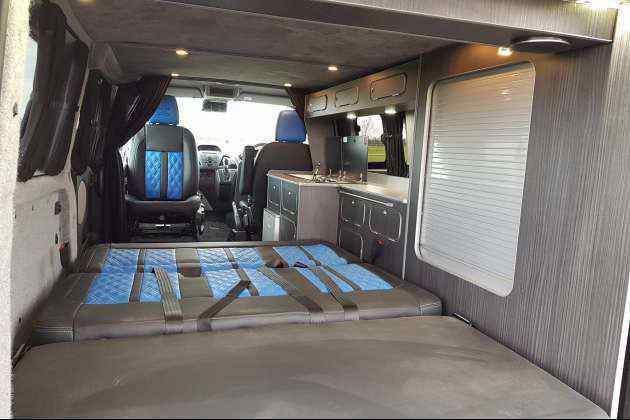 This Ford Transit Custom conversion has been based on a 1200mm wide rock and roll bed, giving travelling space in the rear with 3 seats, if using the Titan bed option. This also gives you a wider bed. 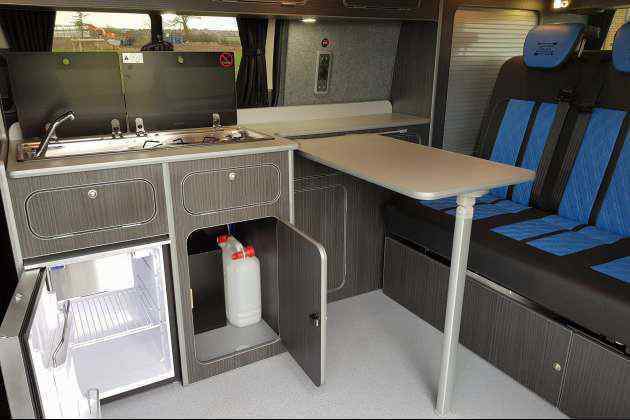 Our version has been designed alongside our VW models to give maximum storage space with optimum utilisation whilst retaining a stylish look. 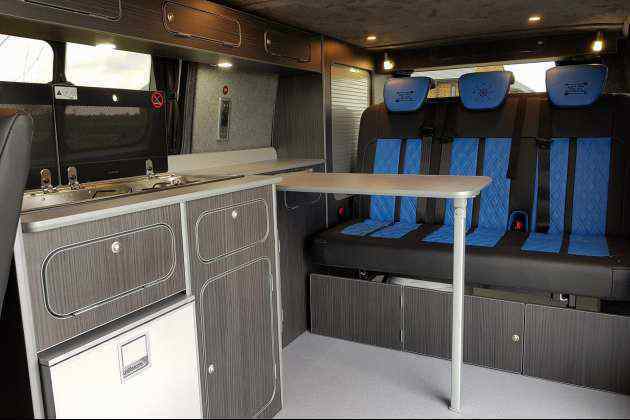 Two berths from £9995. Currently long wheels base only. 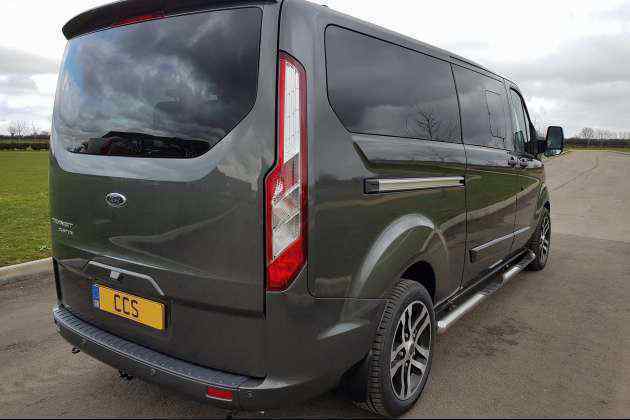 Four berths will have Pop Top roof and starts from £13,499. 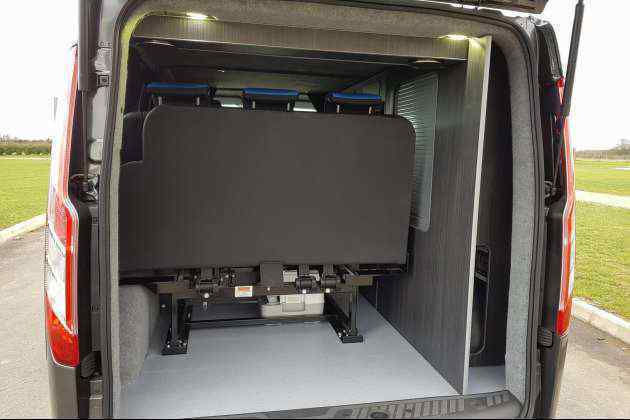 Superva lightweight slim line units. Tambour door in rear up stand section. Overhead front locker, rear overhead locker, bed plinths and table. Sliding window off-side and fixed window near-side. 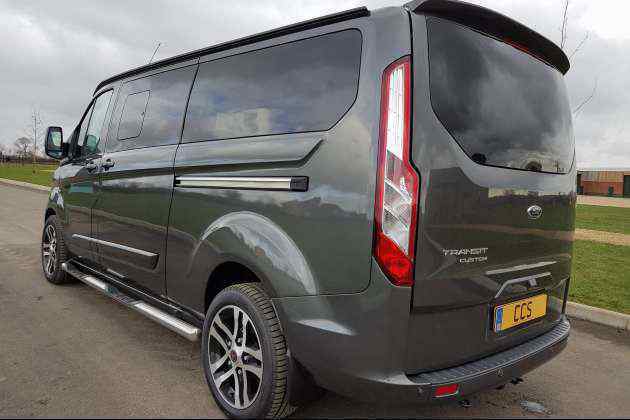 Near-side rear quarter tinted window. Tailgate or barn door windows. Black out curtains and external front cab wrap. 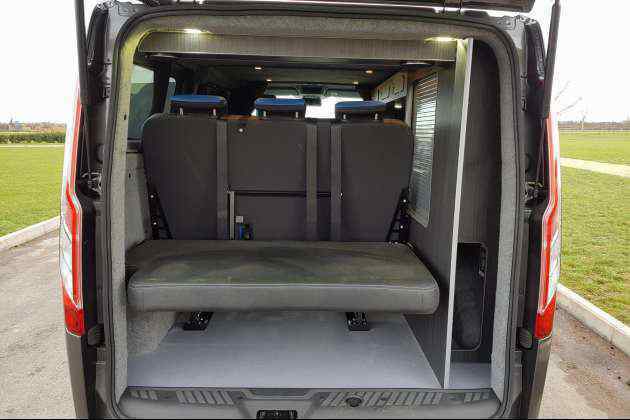 Carpet and insulate rear of van and cab head lining. New ply floor and insulation. 240v hook up including battery charger. 12v split charging system with 110ah leisure battery. Double USB socket, double light switch, 240v socket. Standard 12v socket inside next to sliding door. 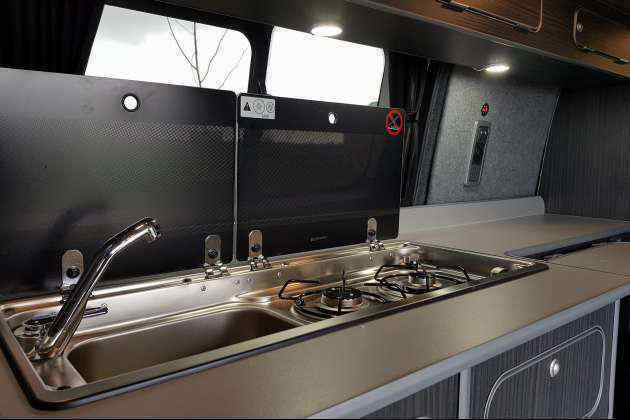 Double hob and sink including full 907 gas bottle. 50lt compressor fridge Waeco crx 50. 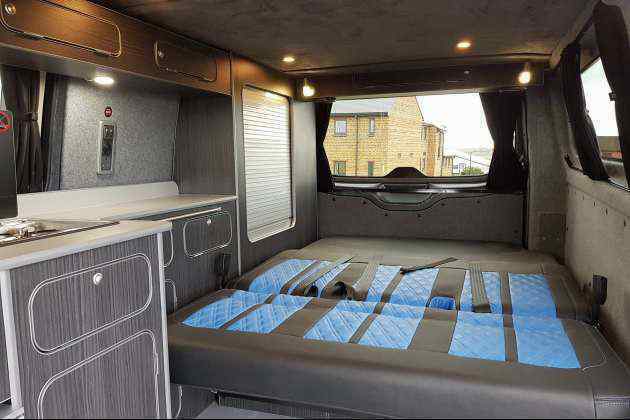 All our conversions come with certificates for the Pop Top, Rock and Roll bed, 240v electrics and Gas certificate. 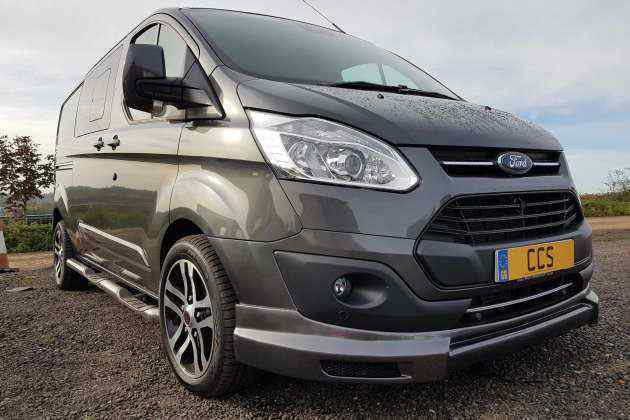 We are DVLA compliant to reclassify you van to a motor caravan.